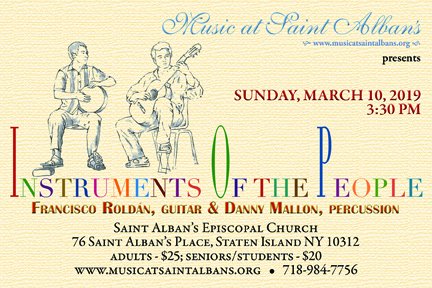 Internationally celebrated musicians, Francisco Roldán and Danny Mallon, present Instruments of the People - a multicultural music experience showcasing a variety of styles including Bambuco, Blues, Danza, Joropo, Porro, Tango and more. 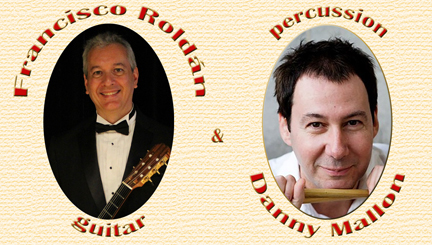 This program encompasses the global pairing of guitar and percussion throughout the ages. Copyright © 2017 Music at Saint Alban’s.